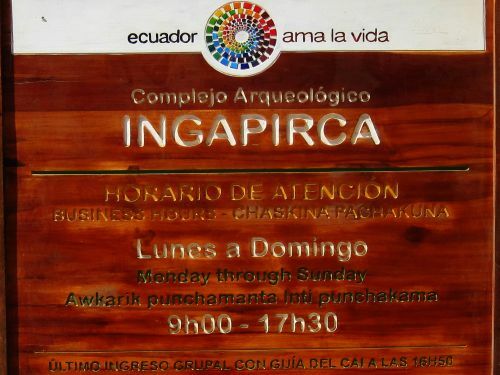 At a road distance of ±80km from Cuenca, Ingapirca is located in the Andes of Ecuador, at an elevation of 3,200 masl, slightly higher than the the nation's capital, but usually considerably colder. The Ruins of Ingapirca, known as the “Machu Picchu of Ecuador” are the most northern major archeological site of the Inca empire north of Peru, with the Temple of the Sun beings its most significant structure. 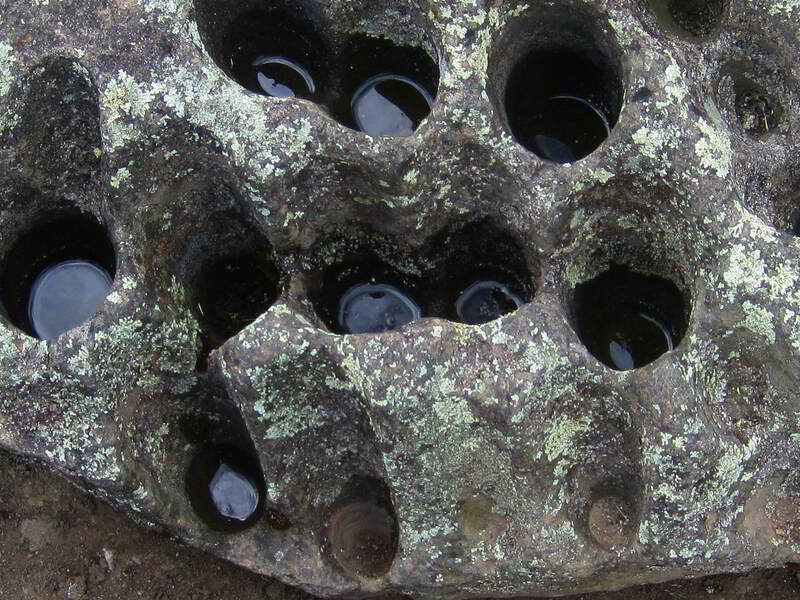 Elliptically shaped is was constructed around a large rock on top of a mountain. The main building is constructed Inca-style without mortar, but some parts are built in the Canari fashion, who used mortar to stabilize their walls. The stones of the Inca walls were carefully chiseled and fashioned to fit together perfectly. On the top of the Temple of the Sun there is a small chamber, which now has mostly fallen down. Originally the chamber was positioned so that on the solstices sunlight would fall through the center of the doorway. 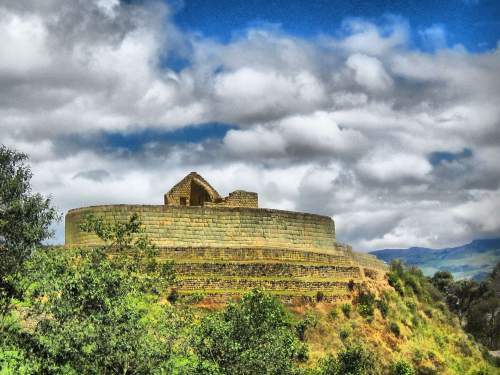 Only briefly before the arrival of the Spanish Conquerors, the Incas had subjected the Canari people, and in fact, Ingapirca used to be a fortification with both Inca and Canari styles, which is visible throughout the site. 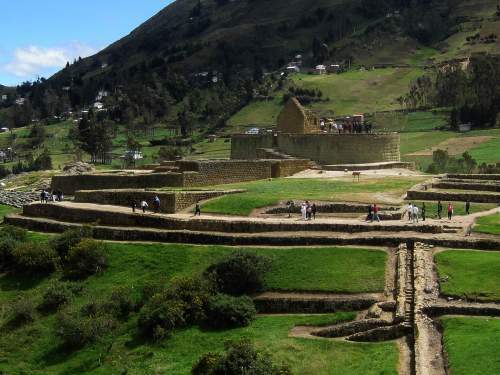 While the true objective of the site is not fully understood, the city must have played a military role as a fortress to dominate what is now northern Ecuador and Southern Colombia. 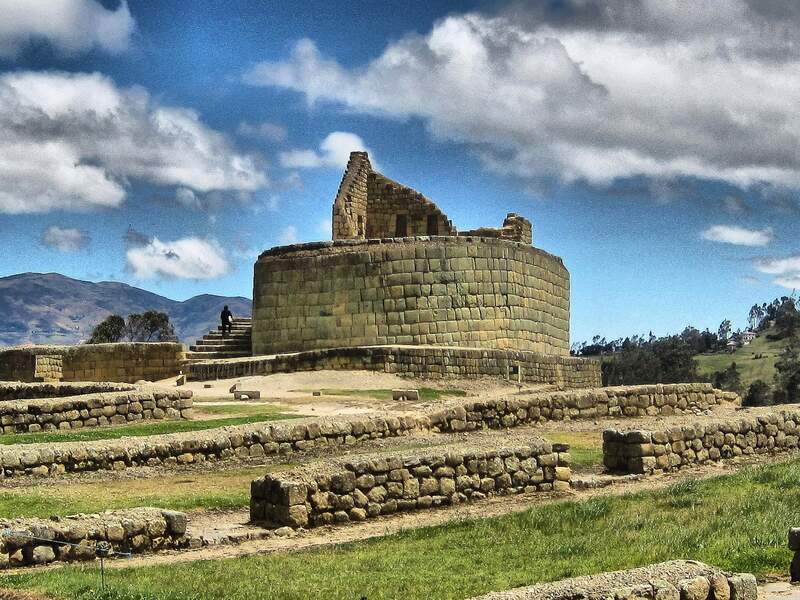 The Puma design of the city and the half moon shape of the site, reflect the Canari civilization, while the Sun temple with its Inca walls reflect the Inca culture. 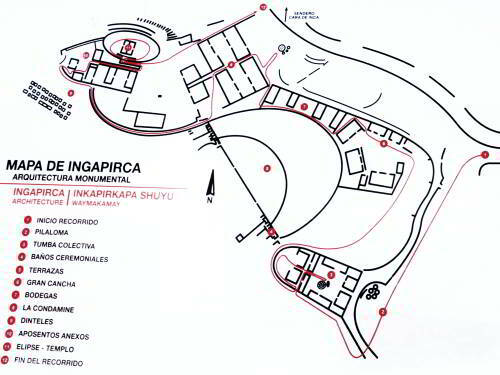 It is said that the Inca Tupac Yupanqui during the expansion's campaigns of the Inca-Empire trough south Ecuador, met the Canari "Hatun Canar" tribe and strategically married the Canari princess Paccha, giving on birth to the future Inca Huayna Capac in the city of Pumapungo (nowadays Cuenca), thus merging the Canari and Inca cultures, in which the Incas were sun worshippers, while the Canaris were moon worshippers. In this way, the Inca dominated the Canari and they decided to settle their differences and live together peacefully. The Canari people built this complex for the Inca Huayna Capac. They renamed the city and kept most of their individual customs separate. Although the Inca were more numerous, they did not demand that the Canari give up their autonomy. 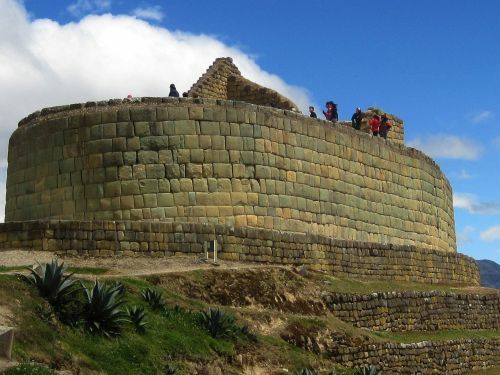 Like in most other major Inca sites, at the Ingapirca Ruins too a sophisticated underground aqueduct system was constructed to distribute water to the entire compound. The religions of the Incas and the Canaris were very different: The Incas were sun worshippers, while the Canari were moon worshippers. 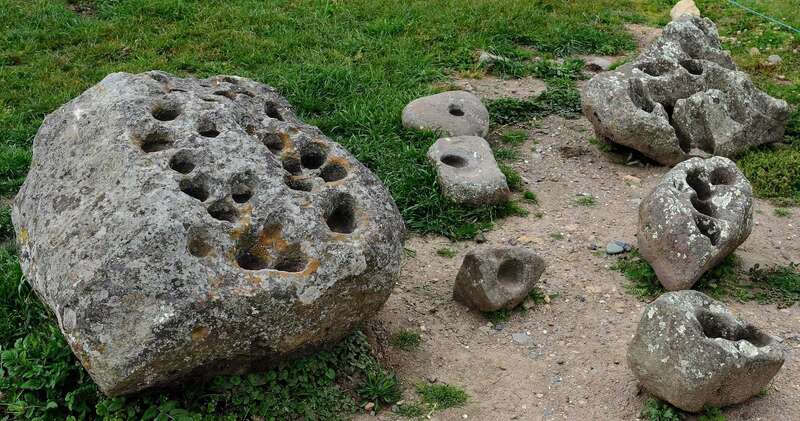 Supposedly, the rounded shape of the site reflects the half moon. As a cult edification, people had numerous ritual celebrations on the complex. 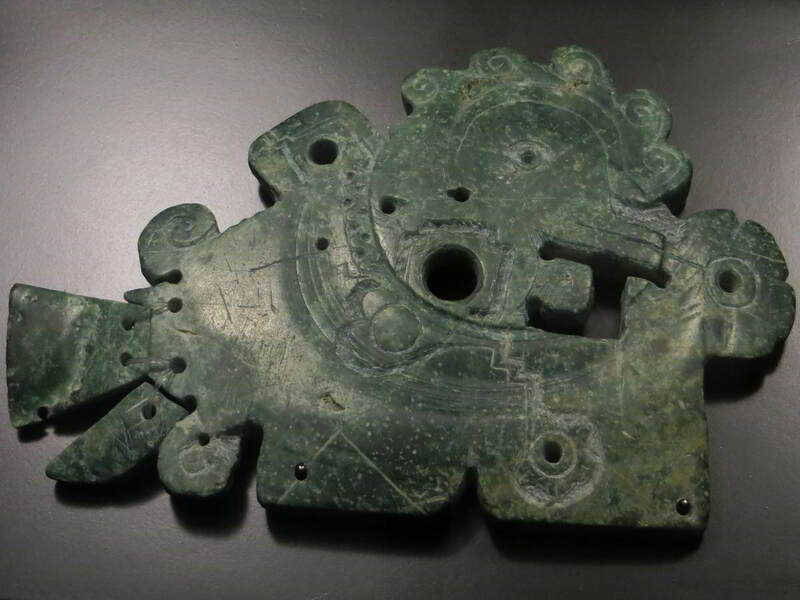 Supposedly, great quantities of a local fermented drink (chicha) were used in these festivals. As sun and moon worshippers, they tried to be as close to their gods as possible. The weather at Ingapirca is different from the cities of Cuenca and Quito, Ecuador's capital. At 3180 masl, and located on a mountain top in stead of in a valley, the weather is considerably colder, but the patterns are similar: sunny mornings prevail, while the afternoons often become cloudy and rain showers may undermine your experience. 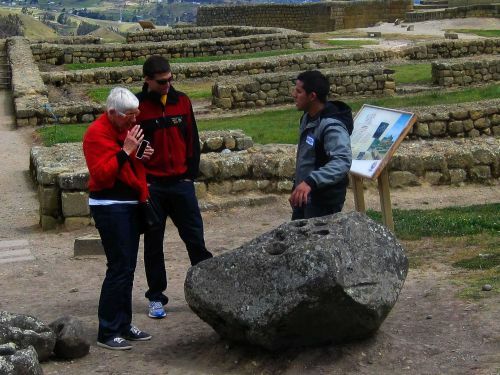 Therefore we prefer to organize morning visits to Ingapirca out of Cuenca, and have you back by 14:00 hrs in Cuenca, so that you can enjoy Colonial Cuenca, where you are less dependent on good weather. 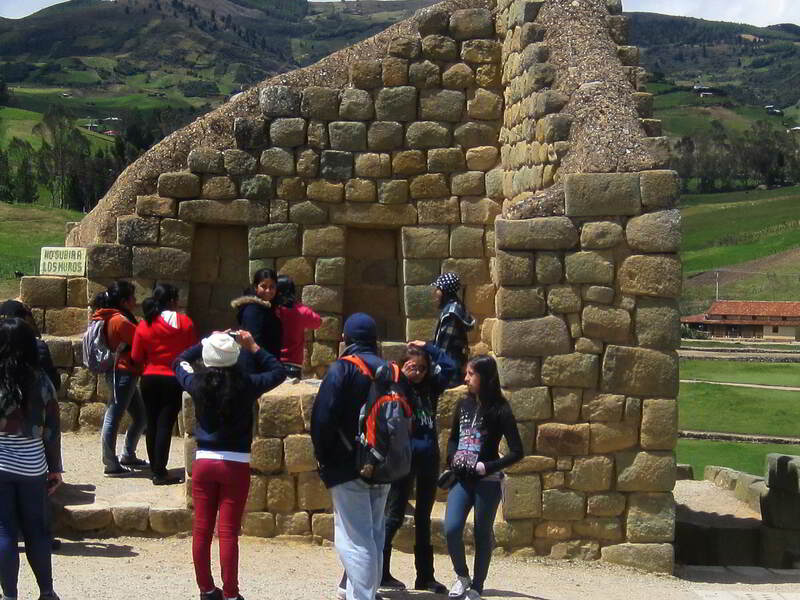 UNESCO World Heritage Site, Ingapirca, has been well-studied over the past 4 decades and is a must for any Ecuador trip or Ecuador Andes trek. 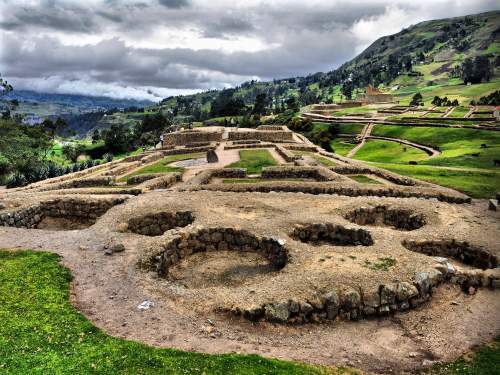 The city design is shaped as a puma, while the compound as a whole reflects a half moon and merges both the Canari and Inca construction styles and civilizations. There is a brand new nice-looking visitor center just outside the historical site, but as a museum it still needs to be developed. 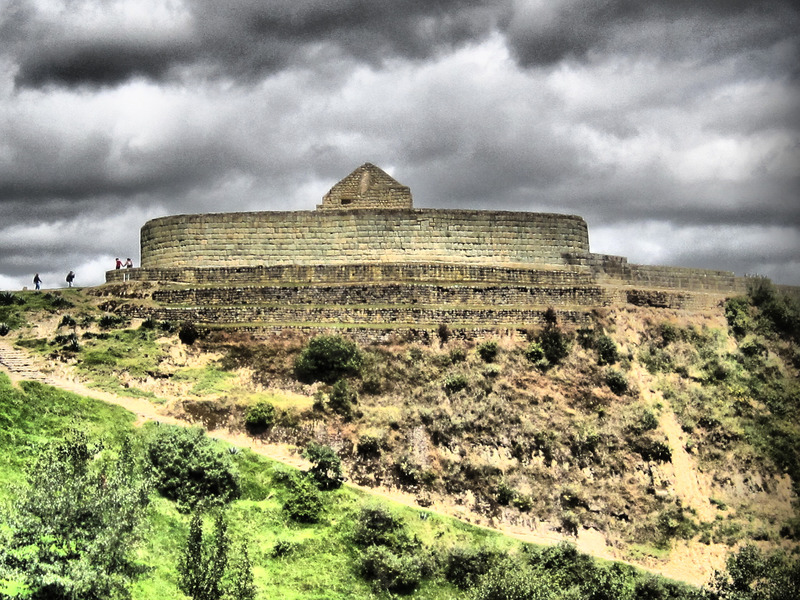 Much better museums are found in Cuenca and Quito. Read more on our page: Museums in Ecuador. 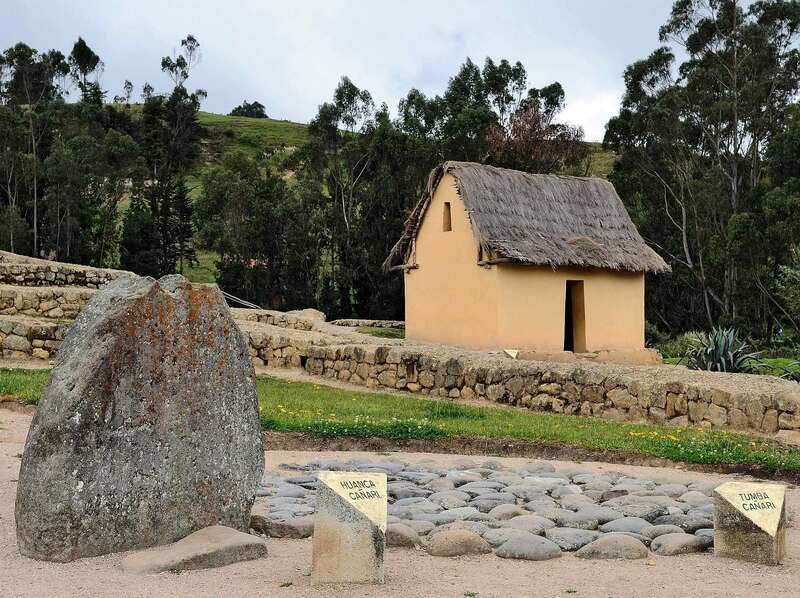 Ingapirca shows the merging of two great cultures: the Inca architectures uses perfectly custom chiseled rocks with almost no space in between, while the Canari architectures uses mildly shapes rocks held together with mortar. 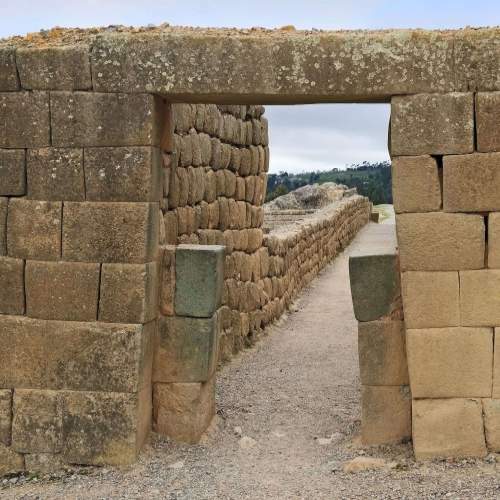 Inca wall with with typical trapezoid inca door. Above: Canari wall of an Inca design building of a noble family. More and more, the Ecuadorian middle class families go visit their cultural sites. 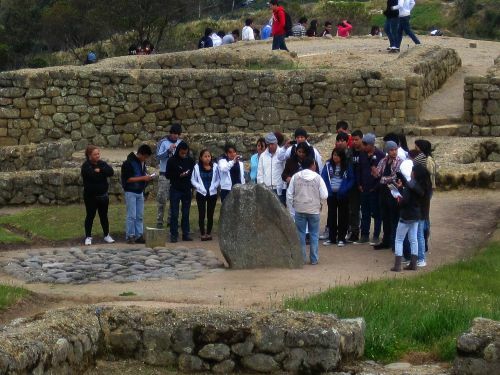 Teaches take their high school classes on annual excursions, like this class. The chamber on top of the Temple of the Sun has been shaped so that during the solstice, at a certain time of the day, the sun would fall through narrow windows and lighten holy items. The Canari had different burial systems and rites. The stone in this picture shows casts the shadow of a Puma during the Solstice. 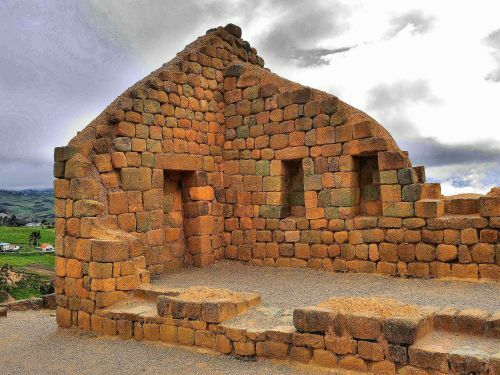 Influenced by the Incas, the had houses that in shape are similar to those on Machu Pichu, but which are primarily terracotta buildings, as opposed to the ones in Peru, which are build out of rocks. 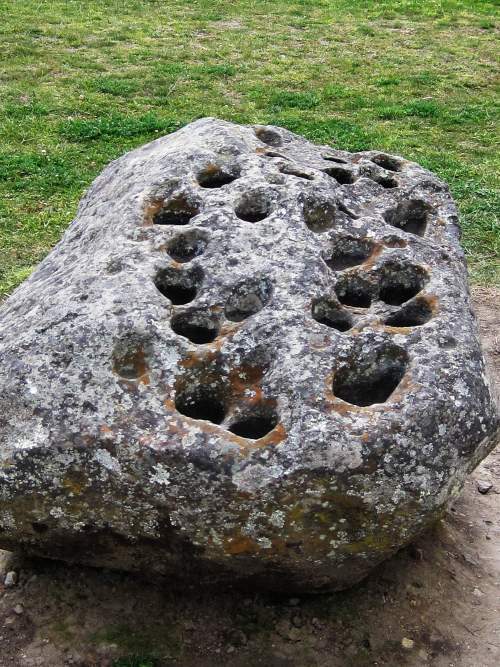 The Canari had a sophisticated calendar system, based on the reflections of the moon in holes they had carved into rocks, placed under specific angles to catch the moon reflections for each moon-month of the year. The weather often changes rapidly in the afternoon. 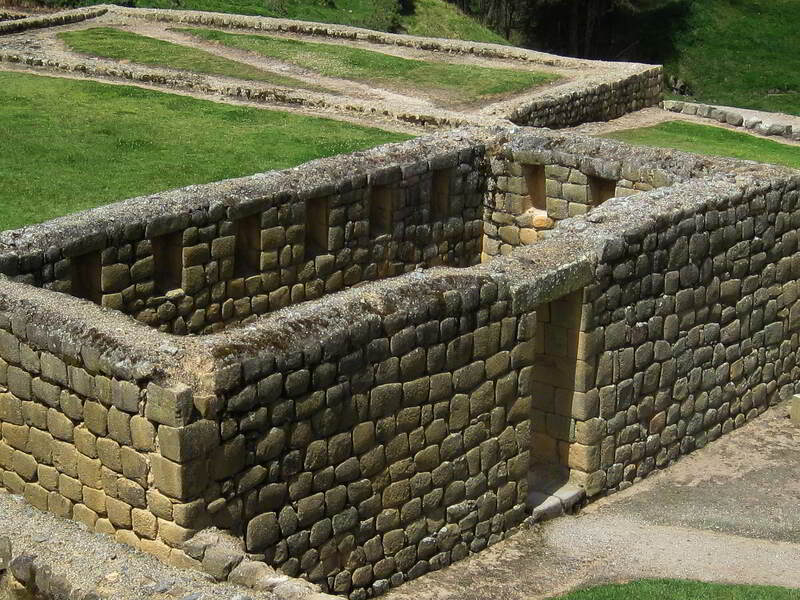 These pictures were taken of the Inca Temple of the Sun within half an hour. As we left the site for lunch 45 minutes later, the site was covered in a drizzly rain and as we learned later from our contact at the site, the sun did not come out again in the afternoon. So we prefer to arrange excursions in the morning without stops on the way. That way you can still enjoy a pleasant afternoon in Cuenca at much more pleasant temperatures. Canari ornament at display in the Museo Nacional del Ecuador in Quito. 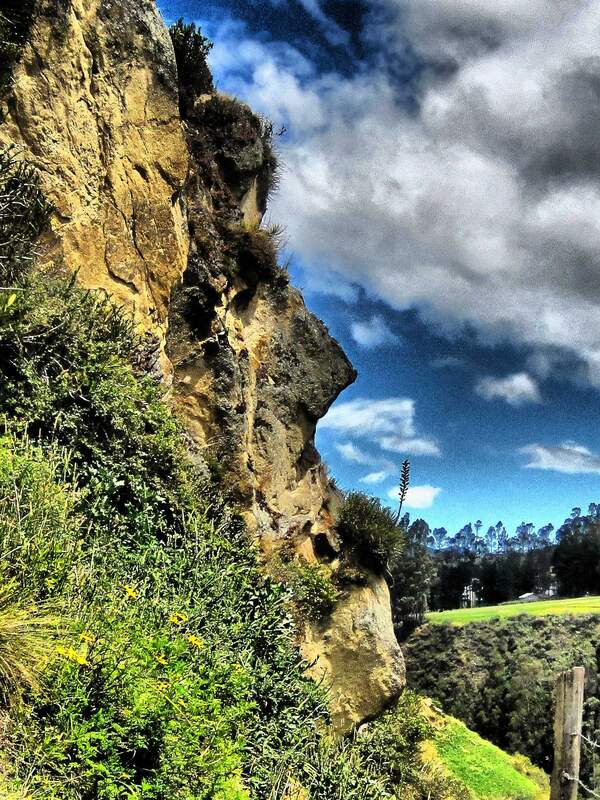 The Ingapirca Ruins, Ecuador, is built on a mountain with a giant face shaped rock at the bottom of the Temple of the Sun. While the surroundings of the site are being commercially developed, don't expect many great restaurants or quality souvenir shops. For the latter, you may want to wait until you are back in Cuenca, Quito or Otavalo, for which the best shopping areas are on our page on Art and Craft in Ecuador. Trips are almost daily available. They leave Cuenca early in the morning, serve lunch in a nice hacienda (old colonial farm) near Ingapirca, after which you return to Cuenca. Our Andes Trek, Ecuador program includes the best National Parks of Ecuador in the Andes as well as the famous cultural highlights. Please contact us for information, rates and bookings. For detailed information on climate and weather conditions read: climate of Cuenca, Ecuador; climate Galapagos Islands in Ecuador; climate in the Amazon of Ecuador and climate of Ecuador.